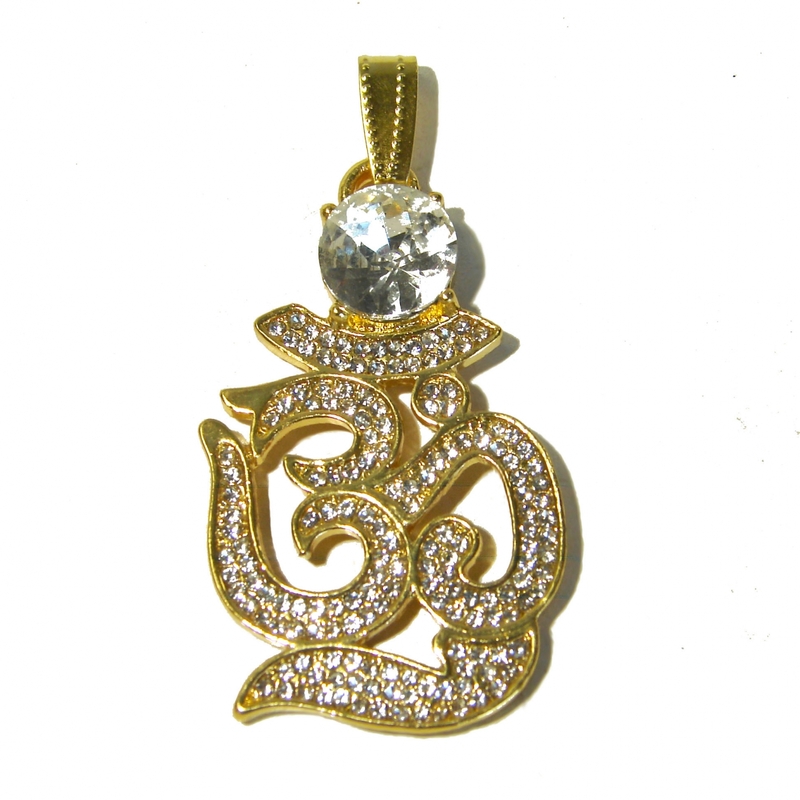 This beautiful feng shui pendant features one syllable OM embedded with crystals. OM is one of the powerful syllable to ward off evil and spirit harm. Wearing it with you can help wearer to prevent from bad intentions by bad spirits or bad persons. The dimension of the feng shui bejeweled OM pendant is approx. 1.5" x 1" x 0.125". It is made of alloy.